Jealous of your BoomSound-toting friends, Galaxy S5 owners? 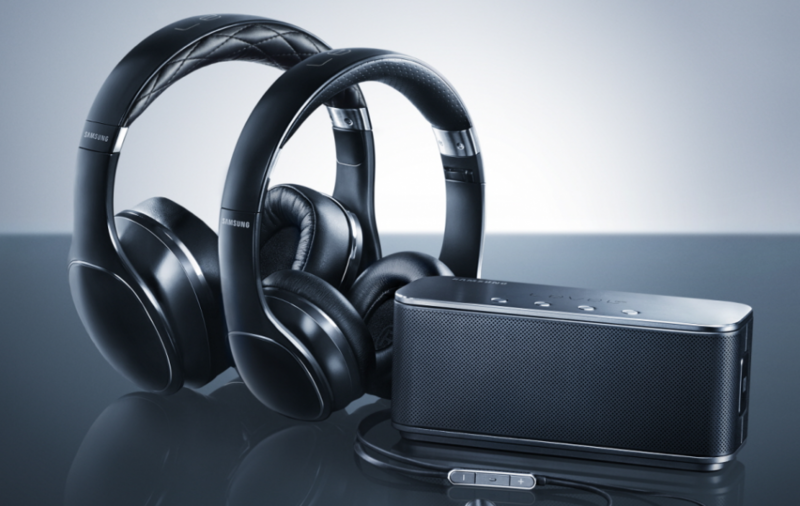 No, your phone won’t be seeing magical speaker improvements any time soon, but Samsung is launching a set of four premium audio accessories to go with your device. Level Over, Level On, Level In, and Level Box will seek to take care of your audio needs, and all are aptly named under Samsung’s new “Level” product category. Level Over is — you guessed it — an over-the-ear set of headphones with Bluetooth 3.0 and 50mm Neodymium drivers. It features S Voice integration as well, along with microphones and other expected pieces. Level On is its younger brother, coming in with a “premium sound experience in the same form factor” and a 40mm diaphragm. Level In is Samsung’s attempt at earbuds, with a three-way speaker system. The least conventional of the bunch is Level Box, a Bluetooth stereo speaker (56mm), ideal for conference calls. It’ll also work with NFC, so tapping a smartphone to it should instantly connect the two devices via Bluetooth. Samsung has also thrown a Level application at Level Over users through Google Play and Samsung Apps, which will enhance the Level experience and provide an EQ tool called SoundAlive. It will also make sure you don’t blow your ears out, something we can all appreciate. The new Level products will be available in mid-May for purchase in select countries — anyone looking to grab one?